Companies work with us because we see more than just technology. We see entire businesses. Our job is to use this vision to make companies move faster, safer and smarter. More and more, business leaders understand that there is incredible value in their information technology. Value that can be measured in terms of IT spend, sales, decision-making, productivity and company growth. We work to see, construct and continuously improve systems to deliver this value. The ideal client relationship begins with strategic IT planning. By working collaboratively on your IT Roadmap, we share our years of experience and unique insights to determine the technology best suited for your operations. We then make your blueprint a reality with the development of solutions to store, manage, share and protect your company's vital data. 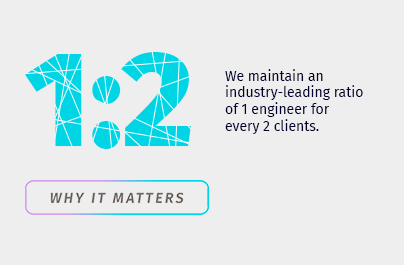 Then we take our place as your IT managed service provider, the member of your team that keeps your company up and running each and every day. Think big. 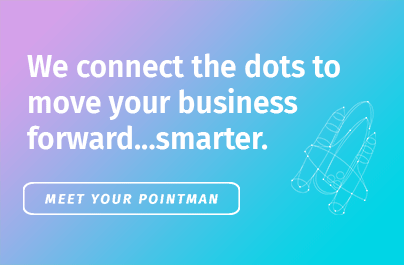 Your Lazorpoint PointMan takes a seat at your table to delve into your business and envision what your ideal IT structure should look like. How can we connect all of the dots - people, process, technology - in a way that amplifies your strengths and minimizes weaknesses? In a way that addresses today's needs and anticipates needs for the future? In a way that empowers your people and accelerates business growth? The answers to these questions determine not only your technology planning process and strategy, but how your company will succeed in the future. Build right. We may determine that it's time for you to move to the cloud. You may require custom application development. You may be building an entirely new network infrastructure. No matter, we manage every build with the same level of integrity and the same objective: to ensure your systems work to enhance your company's productivity. Led by your PointMan, we bring together our team of experts to manage every aspect of your project with total transparency and commitment to success. Run steady. We call it optimized operations. We make sure your technology is always up and on, meeting the demands of your people and processes. 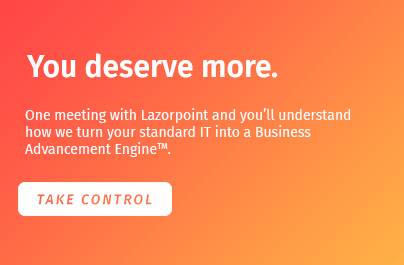 Your Lazorpoint team remains with you to manage the systems we've put into place. We ensure that all aspects of your systems are working as expected. We address and fix problems quickly to ensure maximum uptime. We constantly learn from your systems' performance to identify opportunities for improvement.